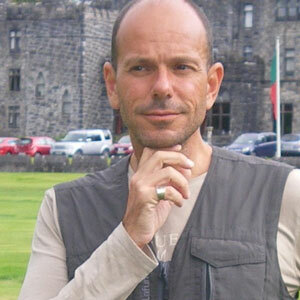 Emmanuel Dalmas is a multi-genre music composer from the South West of France. A company founder and high level executive in the scientific industry he started composing in late November 2016 as a weekend hobby, and continued feeling an intense growing pleasure in learning more and progressing in music composition. Dalmas has since been consolidating both his craft and catalog, with a series of single releases that move between Pop, Easy Listening, EDM, as well songs in his native French tongue. From his home studio Emmanuel produces instrumental and vocal tracks, engaging talented male and female voices to complete his projects, which in turn are available for both commercial and non-commercial use by directly contacting the composer via his social media links. Songs, like stories, have long been a central part of western society. I think that every society that we know anything about has songs as one of its earliest art forms. In the western society they go back as far as the first century AD – and that is just the date of the oldest song of which we have information. Songs are probably as old as civilization itself. And so are songwriters, naturally. Today singers and performers are claiming all the fame and fortune, but most of them are just executing the creative doings of who remains at the very heart of good music- the songwriter. Technically Emmanuel Dalmas can be considered a newcomer among the prolific and successful contemporary songwriters of our time. But a quick glance at his list of releases reveals a range of musical genres and styles so diverse it’s difficult to believe the songs could have come from the same person. There are various schools of thought on songwriting. You have those who believe that great songwriters “either have it or they don’t.” In other words, songwriters are born, not made. And there are those who regard songwriting as a craft, with its own set of rules and techniques that just about any musician can achieve can learn. While it would be presumptuous to determine that any one school is right, I think that the greatest songwriters have a good dose of both. And Emmanuel Dalmas is a living testimony of that fact. How else would a company executive, who dabbles with music on week-ends be able to have composed elaborated Pop songs such as “She´s A Hero” and “Lorelei”, having just started in 2016? It seems clear that Dalmas has a natural ear for a good melody as well as a fair dose of innate talent for putting together a song. Obviously along the way he has learned how to translate those talents into real songs that engage and intrigue the listener, while at the same time providing what all music should – emotion. “She’s A Hero” is built on captivating chord progressions, and a unique song structure for pop music, breaking away from the simple verse-chorus-verse sequence our ears are so accustomed to. The track showcases consistent refrains and powerful bridges where the rhythm breaks right down, and the track rides solely on the luscious keyboards and soaring vocals of Gabriela Flores, before once again being infused by percussion before breaking down again. A rather daring and complex arrangement from a newcomer to the industry, I would say. Confirming my previous theory. 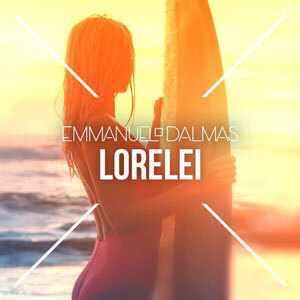 “Lorelei”, a track composed for Emmanuel’s daughter, is a mid-tempo tropical flavored song which sits somewhere between the Pop and EDM genres. 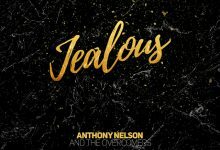 The track has a more straightforward song structure and electronic arrangement that is very gentle on the ear, and unlike the banging rhythms meant to shock a response from the listener. Instead Emmanuel Dalmas displays the subtlety and restraint, one would only expect from an experienced songwriter. Dalmas holds back on too much overpowering instrumentation, allowing for the gentle, almost whispering melody, to come to the fore. It is a masterstroke from a diligent craftsman thoroughly enjoying and improving his art.